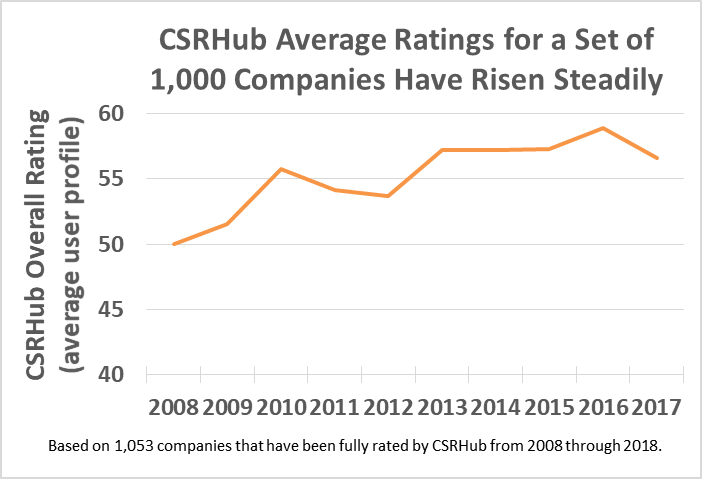 CSRHub Average Ratings for a Set of 1,000 Companies Have Risen Steadily. See Graph. 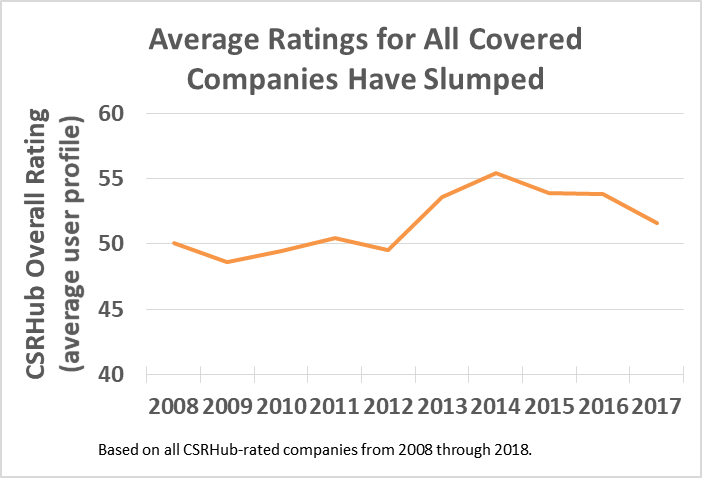 Average Ratings for All Covered Companies Have Slumped. See Graph. 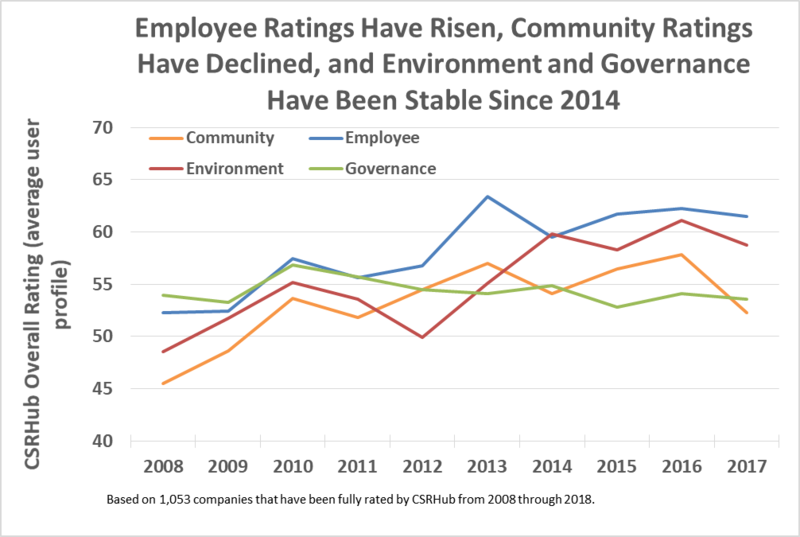 Employee Ratings Have Risen, Community Ratings Have Declined, and Environment and Goverance Have Been Stable Since 2014. See Graph.